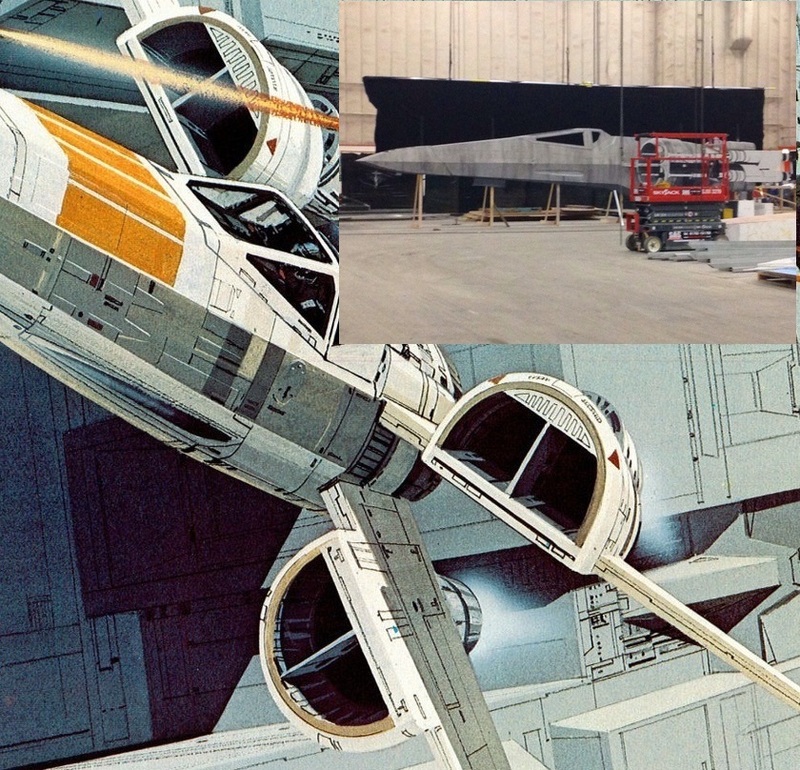 Rumor: A small tidbit on Star Wars: Episode VII’s new X-wing parked on a set. If you were lucky enough to catch it, Star Wars 7 News had a photograph of a Tatooine set a few weeks back. The set was initially a surprise because we figured most of the Tatooine filming would have taken place in Abu Dhabi. If we are understanding everything correctly, it appears that set is a little bigger than it appeared in the photograph. I believe an IMDb poster claimed there was a “rocket ship” parked outside this set. Well now, we have some deeper news on what is really there. Parked on the Tatooine set at Pinewood Studios is a Ralph McQuarrie styled X-wing similar to the one we saw leaked in the TMZ photos. It is sporting a silver paint job. The engine intakes are more rounded than the classic X-wing we all know and love. McQuarrie’s X-wing concept with TMZ’s leaked photo. Someone we know in the entertainment industry says this particular X-wing is unique and belongs to one of the new young main characters. Admittedly isn’t exactly surprising since they built it and it is on several sets. It was suggested the set was made at Pinewood because it was more cost effective to move the large X-wing from the stage to the set at Pinewood than to transport and construct the ship in Abu Dhabi. The takeaway? There’s an X-wing landed on Tatooine in Star Wars: Epsiode VII and three separate sources are saying so.